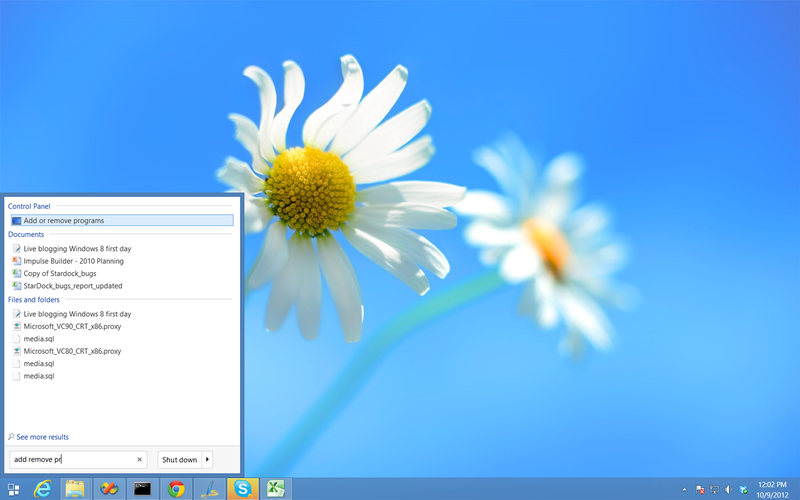 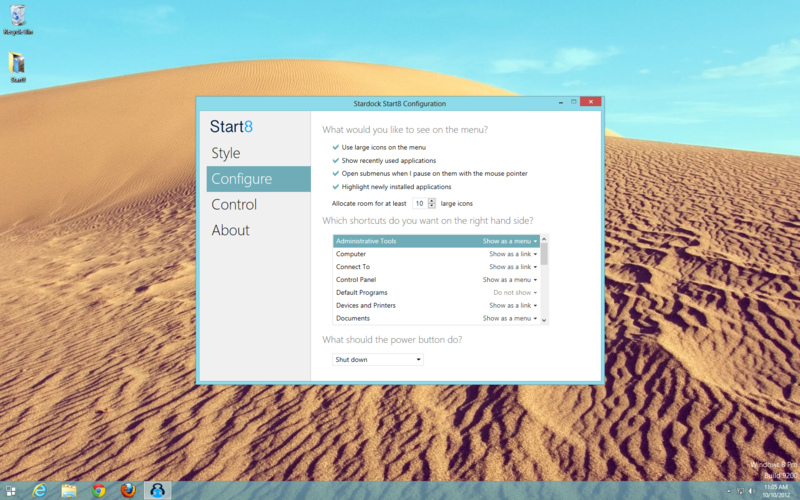 Bring back the Windows® "Start" menu with Start8! 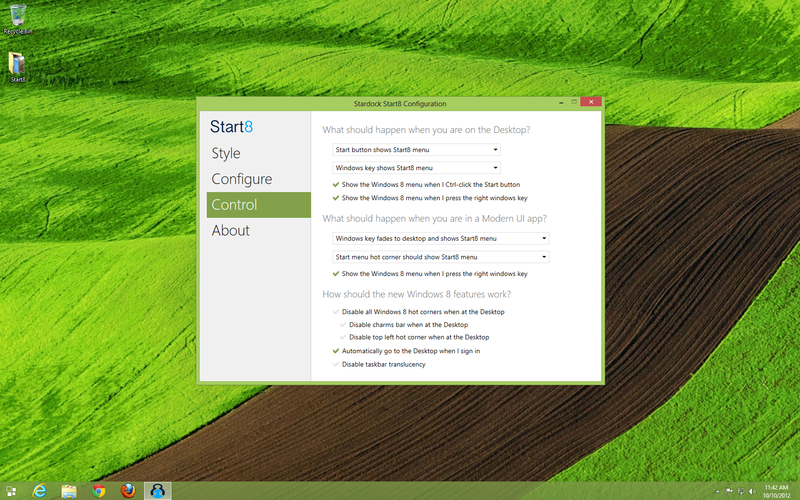 Microsoft Windows 8 is shipped without the "Start" menu. 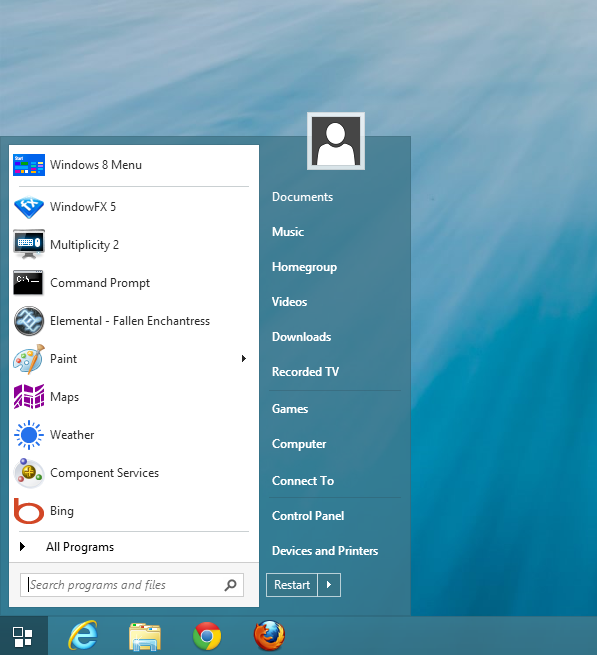 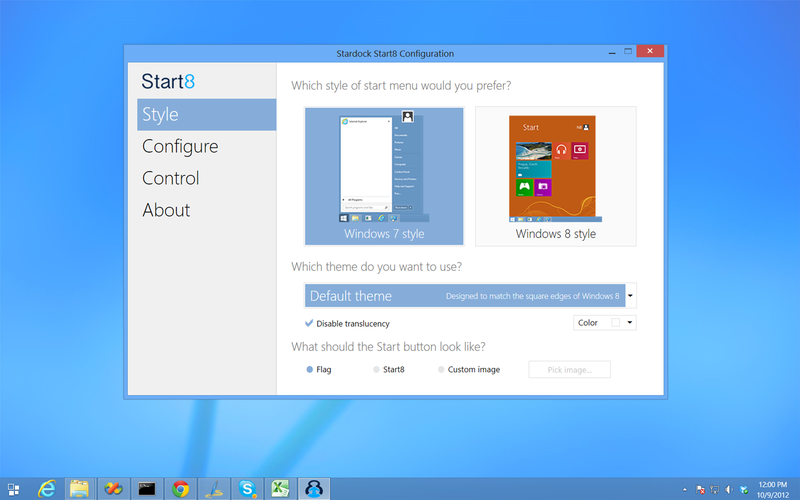 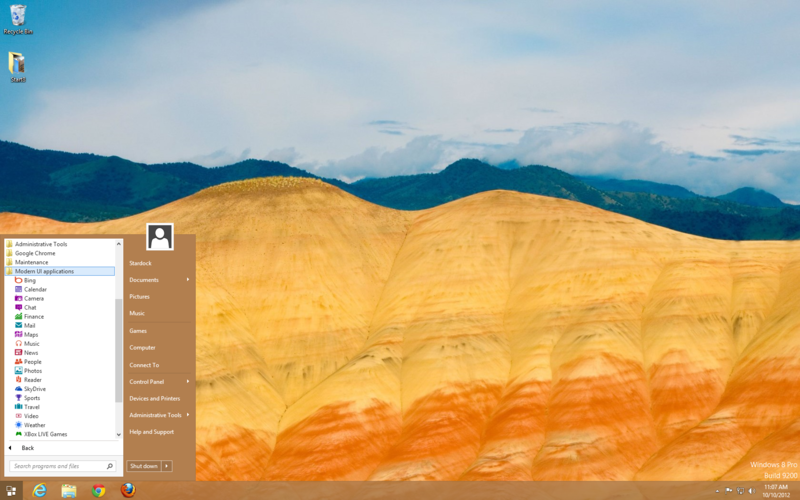 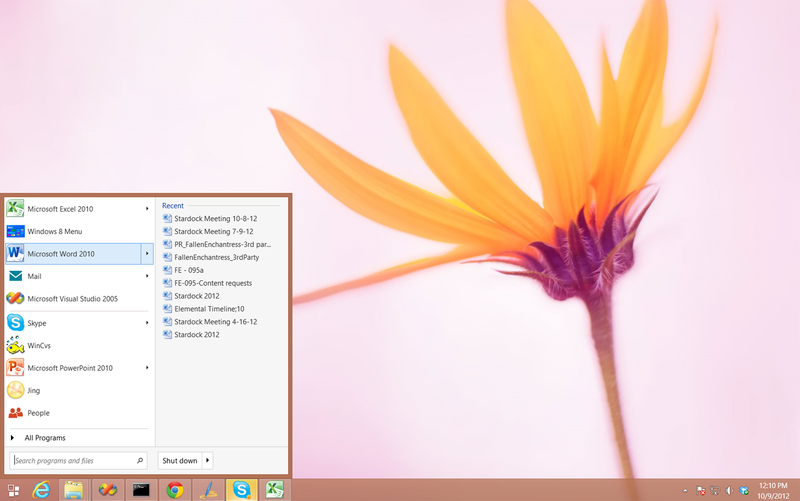 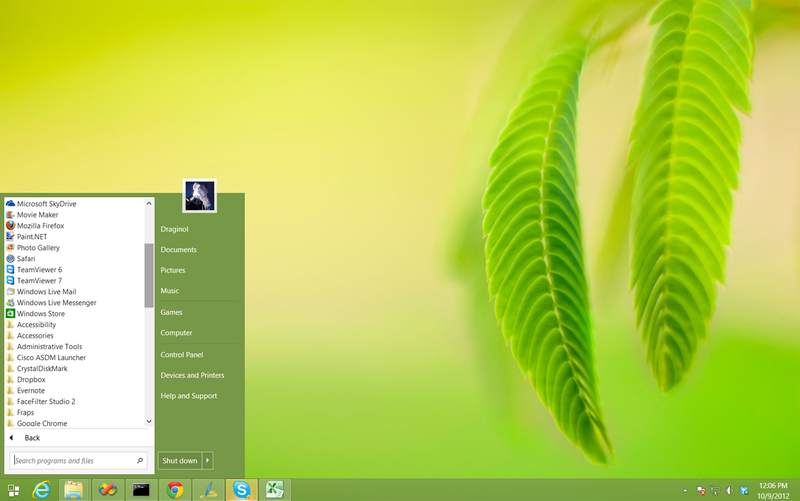 Stardock heard the cries from Windows 8 users We put the "Start" menu back in Windows 8. 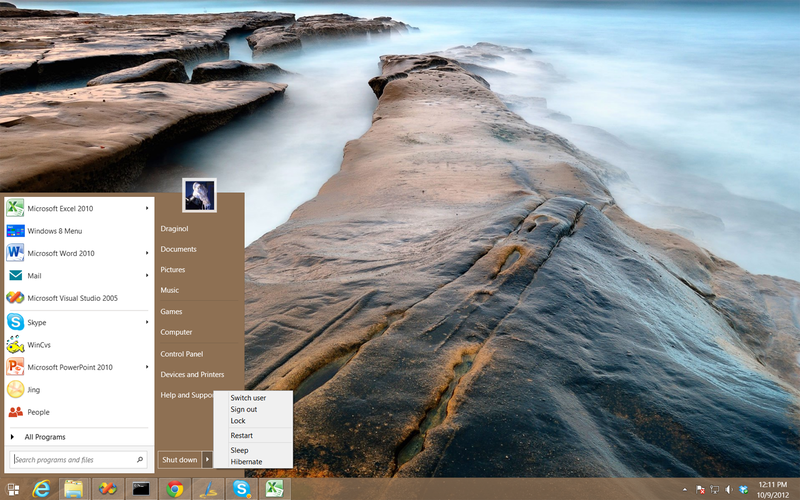 We accurately recreated the most used desktop feature billions of users depend on every day and packed it with additional functionality.